The World, Dubai’s artificial archipelago of over 300 islands, will soon be home to 33 luxury floating homes, each with its own garden, pool, and beach and tailor-made to the client’s tastes. 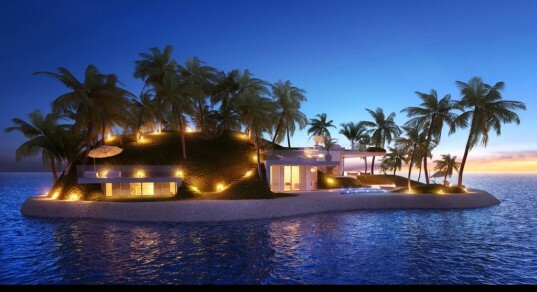 Created as part of Oqyana World First, these private island homes were recently given the go-ahead by the Dubai-based government entity Nakheel. Architecture firm Waterstudio.NL collaborated with Jean-Michel Cousteau to design the floating islands, which will also be engineered to provide new underwater habitat for sea life. Designed in the shape of the seven continents, Dubai’s The World project covers an area of 931 hectares, measuring nine kilometers in width and seven kilometers in length. The luxury development includes residential islands, commercial areas with resorts, transit hubs for ferries, and a tourism zone. The islands range in size from 150,000 to 450,000 square feet. The man-made floating islands will be completely stable on the water and will be built to last over a century. The customizable islands will be created to the client’s specifications and include underwater habitat. 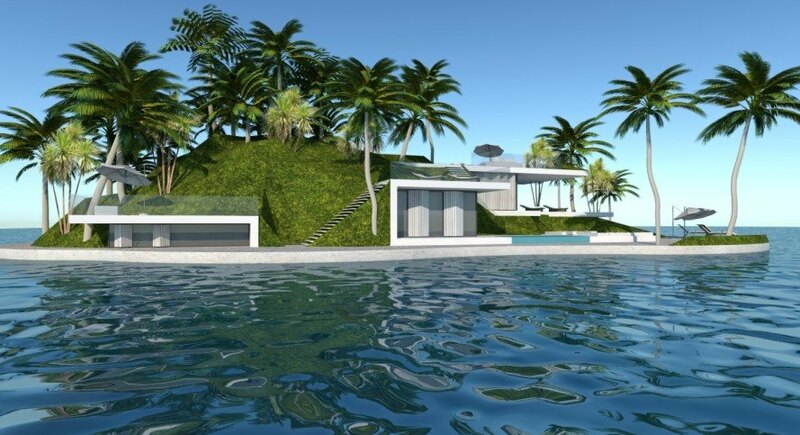 The Oqyana Real Estate and Amillarah Private Islands developers plan to offer similar floating homes in the Maldives and off the coast of Miami in the U.S. The 33 luxury floating homes are not yet available for sale. The World, Dubai’s artificial archipelago of over 300 islands, will soon be home to 33 luxury floating homes, each with its own garden, pool, and beach and tailor-made to the client’s tastes. The man-made floating islands will be completely stable on the water and will be built to last over a century.